Molybdenum alloy is a nonferrous alloy composed of molybdenum matrix and other elements, which are nickel (Ni), copper (Cu), titanium (Ti), zirconium (Zr), hafnium (Hf), tungsten (W) and rare earth elements. The addition of alloying elements can not only strengthen molybdenum alloy in solid solution and maintain its low-temperature plasticity but also form a stable and dispersive carbide phase and improve the strength and recrystallization temperature of the alloy. The main strengthening ways of molybdenum alloys are solid solution strengthening, precipitation strengthening, and machining hardening, and molybdenum alloy sheet, strip, foil, pipe, bar, wire, and profile can be made by plastic processing. What are the characteristics of molybdenum alloys? Molybdenum alloys are characterized by high density, high melting point, low vapor pressure, low thermal expansion, enhanced thermal strength, toughness, and corrosion resistance. What kinds of molybdenum alloys are available? Molybdenum alloys can be divided into the following categories according to alloy metal elements. Binary molybdenum alloys mainly include tungsten molybdenum (W-Mo) alloy, molybdenum copper (Mo-Cu) alloy, molybdenum zirconium (Mo-Zr) alloy, molybdenum titanium (Mo-Ti) alloy, molybdenum lanthanum (Mo-La) alloy, molybdenum yttrium (MoY) alloy, molybdenum-rhenium (Mo-Re) alloy and chromium molybdenum alloy. 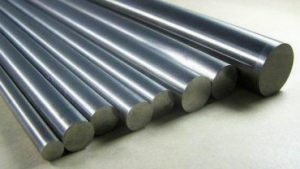 Multielement molybdenum alloys such as Mo-Ti-Zr-C series are mainly TZC alloy and TZM alloy; Mo-Hf-Zr-O series mainly include ZHM, ZHM4, ZHM6, ZHM7, ZHM8, etc. ; the Mo-W-Hf-C series and Mo-W-Hf-Zr-C series mainly include M25WH1, M25WH2, HWM25, and M25WZH1. Doped molybdenum alloy is an alloy formed by adding potassium, silicon, and aluminum to pure molybdenum. It can greatly increase the recrystallization temperature of molybdenum, and it still has good plasticity even after recrystallization. Molybdenum alloys can be divided into alloying elemental solid-solution-strengthened alloys, dispersion-strengthened alloys, doped strengthened alloys, and comprehensive strengthened alloys according to the types of strengthening. 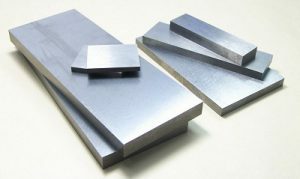 What are the applications of molybdenum alloys? The aerospace department mainly uses molybdenum alloy to make molds and high temperature forging engine parts, and the application materials are mainly active metal carbide reinforced molybdenum, optional element reinforced molybdenum and mechanical dispersion two-phase reinforced molybdenum alloys. Active metal carbide reinforced molybdenum alloy has a good high-temperature strength and high thermal conductivity, so it is mainly used in hot processing die industry. It is because of high thermal conductivity and low thermal expansion of molybdenum that it has become the preferred thermal shock material. Casting aluminum factory uses molybdenum to control the hot crack problem of its processing materials, that is, TZM alloy (titanium-zirconium-molybdenum) type core and mantle-bar (bar) are usually used in the processing materials prone to hot crack, which can also avoid the hot crack phenomenon of the materials. TZM and MHC alloys can also be used to improve the rapid solidification ability of processing equipment. 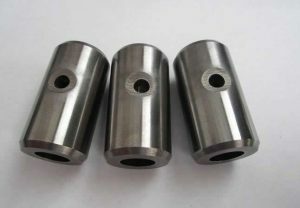 Besides, the tungsten-molybdenum alloy has the same corrosion resistance and can obviously reduce the production cost. Therefore, Mo-25% W and Mo-30% W alloy materials suitable for popularization and application in the impeller, pump set, and molten zinc pipe system have been developed at present. Molybdenum can be used for thermal spraying of piston rings by mixing molybdenum powder with the binder containing nickel (Ni) and chromium (Cr) and spraying the mixture on the piston by plasma. Its coating can be pure molybdenum or molybdenum alloy mixture powder, which has the advantage of both wear and corrosion resistance, so it is suitable for paper industry applications. Besides, molybdenum powder can also be mixed with different content of nickel, chromium, boron and silicon powder into different powder mixture, but spraying powder requires good fluidity, thermal spraying powder should generally be spherical or near-spherical shape after spraying dry. In addition, the mixed powder of molybdenum and molybdenum alloy can also be used to compact the plasma nozzle into pre-alloy powder of different qualities, which is more resistant to wear and corrosion. Molybdenum is suitable for high-temperature furnace because of its high-temperature strength and thermal stability, and the molybdenum electrode used for glass melting processing can also improve the processing capacity of the traditional furnace. For example, molybdenum and molybdenum alloys are mostly used as hot isostatic pressure (HIP) device materials, heating elements, sleeve, and bracket; molybdenum clamps and sintered molybdenum boats are widely used in ceramics. Moreover, the compatibility of molybdenum with hot gas and its high-temperature strength enable it to be used in aerospace and national defense industries and other fields. Compared with molybdenum lanthanum, molybdenum niobium alloy, and pure molybdenum products, rare earth molybdenum products have more advantages, which are widely used in metallurgy, machinery, petroleum, chemical industry, aviation, electronics, and other fields.